One of the traditional food which has a long shell life. 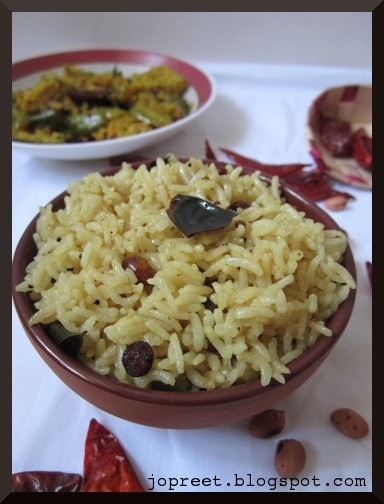 My grandma always prepares it with potato poriyal, which is my favorite combination. 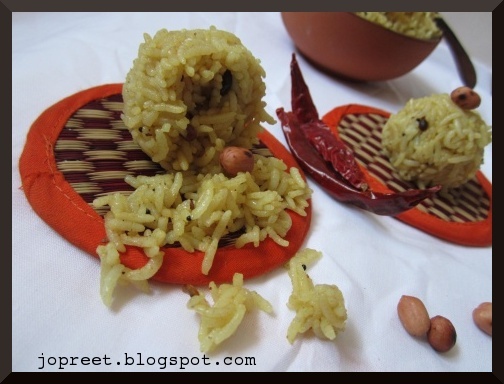 No introduction is needed, as it is a well known simplest rice preparation. Heat oil in a kadhai and temper mustard seeds. Add urad dal, channa dal, broken red chilies and curry leaves. Saute a while. Add fenugreek powder, cumin powder and roasted peanuts. Fry for few mins. Add squeezed tamarind water filtering the pulp. Add asofoetida, salt and stir it frequently. Cook till the paste becomes thick and oil separates. Remove from the heat and allow to cool. You can store the paste in an air-tight container as it has long shell life. 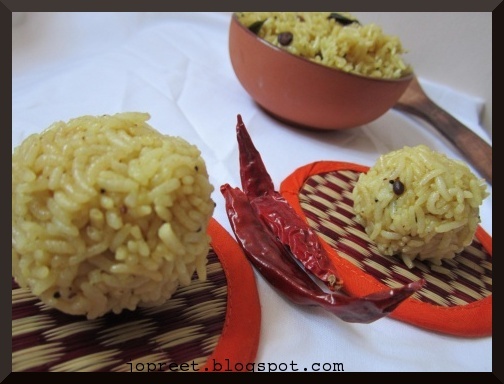 Mix the paste with cooked rice or left over rice and serve with pickle and potato poriyal for better combination. 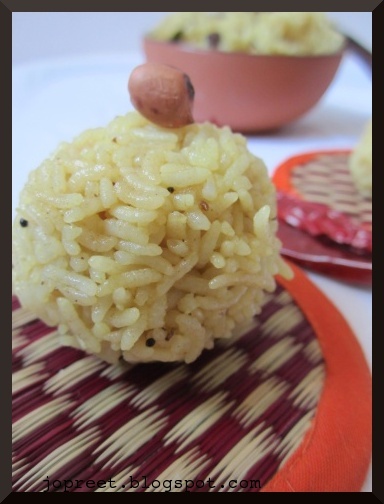 i like to have it now preethi..thanks for sharing the recipe..
Nice lunch box idea..I love it. I had it and loved it. But never made it Preeti. Your clicks are really inviting dear. 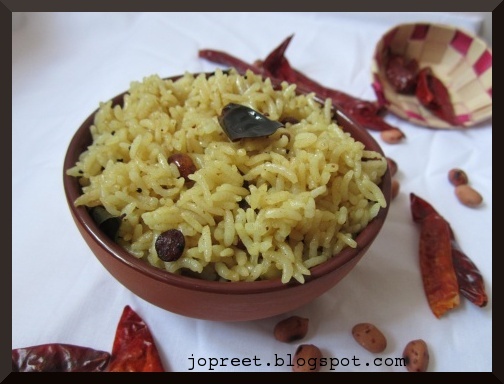 very easy n my fav rice too…looks so yumm!! Super Tasty Post. Best pictures. Mouth watering dish. Congrats. lovely definitely tastes good with potato fry!